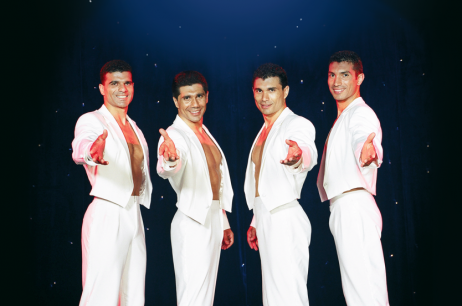 "These brothers defy gravity to thrill and captivate everyone who watches their show"
See the breathtaking live show! Buy tickets online or make a booking request. 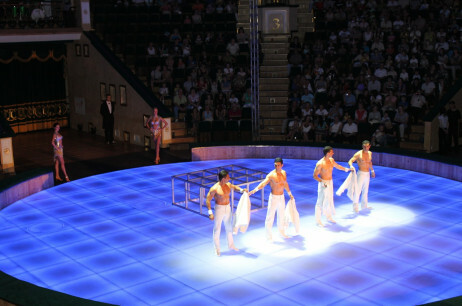 In 1990 the Pellegrinis left Italy for a great experience in Ringling Brothers and Barnum and Bailey Circus in the U.S.A, which has exposed them to work in front of 10.000 people per show. At the same time they were requested in the play offs season (NBA) to perform before each game. Here you will find pictures and videos from the Pellegrini Brothers. We will be updating this area constantly. You can also find a lot of pictures at our Facebook Fanpage. If you are interessted in high resolution pictures for print please visit the Press area. You have pictures of us? We would love to see them on our Facebook Fanpage, share it on Facebook. Get in contact with Pellegrini Brothers. We are always interessted in media presence. You have questions concerning our press material? You have a booking request? Contact us! Hallo und willkommen von den Pellegrini Brüdern!